ANKARA - An internal investigation into Turkey`s official telecommunications authority has revealed that the national police conducted more than a million wiretaps in 2012 and 2013. According to information exclusively obtained by Anadolu Agency, three departments of the Turkish police intercepted 1,073,136 phone calls in two years. 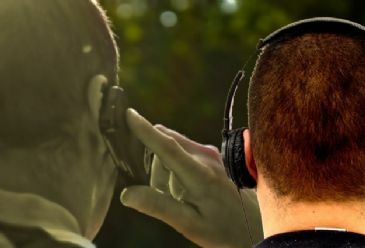 Over this period, the intelligence department conducted 569,837 wiretaps whereas the anti-smuggling and organized crime department monitored 347,234 phone conversations. The anti-terror department eavesdropped on 156,065 phone calls. Anadolu Agency had earlier reported that 509,516 people were wiretapped in 2012 and 2013. Wiretapping scandals have made headlines in Turkey since Prime Minister Recep Tayyip Erdogan announced in late 2012 that a "bug" had been found in his office.